November should be known as "Broke-vember" since there are so many great games coming out. Gamers are going to have to choose carefully where and what they spend their money on this month. The Gamer’s Lounge has looked at the pre-order bonuses for several AAA games coming out this month and its going to come down to gamers’ preferences for DLC and choice of retailer. Two of the biggest releases this month are Assassin's Creed Unity for next gen systems and Assassin’s Creed Rogue for the former generation. Pre-order either at Amazon and gamers will receive additional in game content, weapons and additional missions. Gamestop, Walmart, Target, and Best Buy give gamers the same additional missions with different weapons for either game. At least Best Buy will give gamers $10 back in reward certs if they pre-order. Halo: The Master Chief Collection is going to be a must buy this holiday season. If gamers pre-order from Amazon, Best Buy, or Gamestop they can get a different skull bandana for multiplayer. It appears Walmart and Target are offering nothing for a bonus, and once again Best Buy will give you a $10 reward cert. Lego Batman 3 is also coming out this month. The pre-order bonuses are varied. Walmart gives gamers a comic book. Gamestop has a Plasticman mini fig. Amazon has a Batgirl keychain. Walmart has a DC heroes mini set and Target has a Batwing mini set. These are all physical items, so it really comes down to what particular bonus gamers want. Personally, I like the Batwing mini set and as usual Best Buy gives gamers a $10 reward cert. Dragon Age Inquisition will be released November 18th and has the same pre-order bonus across the board. Amazon, Best Buy, Gamestop, and Target has the Flames of Inquisition weapons arsenal as the pre-order bonus. At this point, gamers might as well pre-order from Best Buy and get the $10 reward cert. Little Big Planet 3 is coming out mid month and offer some decent pre-order bonuses. If gamers purchase the PS4 version from Amazon, Walmart, Target, or Gamestop they receive a Sackboy plush. Gamestop is also throwing in the Little Big Planet 3 Mythical Creatures Pack featuring all-new costumes for Sackboy, OddSock, Toggle, and Swoop. Amazon has a similar bonus with the Favorites Pack and the Day 1 Edition which includes the Dragon Age Costume Pack. Target also has some sort of costume pack and it seems all versions of the game for PS4 come with the plush. GTA V for PS4 and Xbox One is coming out the same day Far Cry 4 is being released, November 18th. Most of the stores that have Far Cry 4 will give gamers access to the limited edition that includes extra single player missions and extra weapons. Each retailer has a different weapon offering. Grand Theft Auto V will be another big seller this holiday season, but the game has the same pre-order bonus across the board, $1,000,000 cash for gamers to spend in the game. Returning players who owned the game on PS3/360 will receive exclusive content such as new vehicles, weapons, and missions. For both games, pre-ordering the best offer comes down to what retailer gamers prefer. Call of Duty: Advanced Warfare has already been released or else we would have covered that. World of Warcraft: Warlords of Draenor doesn't have any sort of pre-order bonuses associated with it and neither does Super Smash Bros for the Wii U. 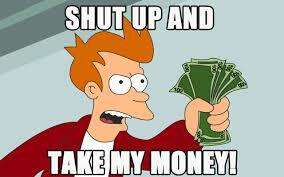 Neither Pokémon Omega Ruby or Alpha Sapphire have any sort of pre-order bonuses. There is a lot to choose from this month, but hopefully some of us can wait until Black Friday.